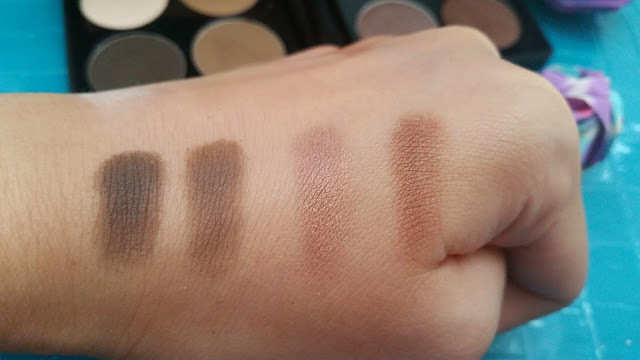 What's your favorite neutral eyeshadow palette? There are so many neutral eyeshadow palettes these days, it can be hard to decide on a favorite. I, for one, have quite a few neutral palettes but even with so many, I still have more on my to-buy list. So, I can't say quite yet which one is my favorite. However, out of the ones I have, I know there's a few that I like a lot. 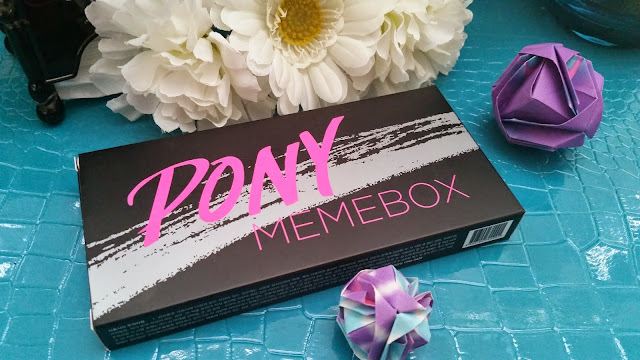 Last year, my mom and I discovered Memebox and they came out with the Pony x Memebox Shine Easy Glam Eyeshadow Palette 1. I have been watching Pony for a while on Youtube and always loved her makeup, so I was very eager to purchase this palette. However, I was also unsure because Memebox had just started to create its own makeup, so there was a lot of unknowns and I have a lot of neutral palettes already, so I wasn't sure if I should add another. So, I waited. Luckily, my mom, who is my writer partner on this blog purchased 1 for me! 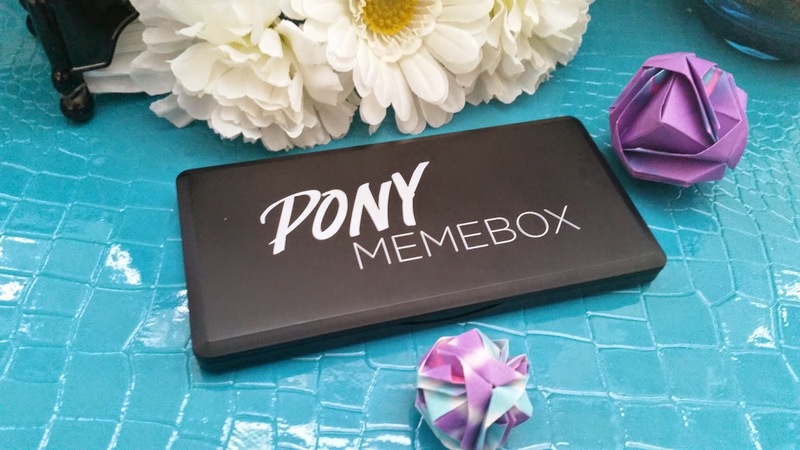 Yes, my mom write here too, she's writing the soon to be released Beauty From Within series on this blog~ Anyways, read on to see my thoughts and review of this Pony & Memebox Shine Easy Glam Eyeshadow Palette. 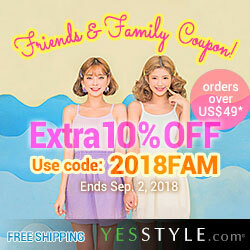 Product Description: A beautiful neutral palette created by Korean Youtube superstar and self-taught makeup artist, Pony! 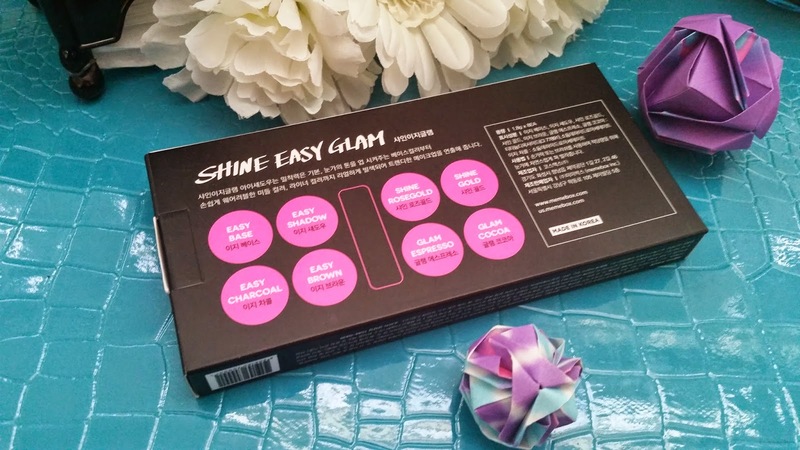 This palette is great for beginners and veterans alike and promises to glam you up instantly. The palette has 8 neutral shades, 4 mattes and 4 shimmers. Each shadow is formulated with nourishing oils and will adhere to the skin without creasing or flaking. The 8 colors in the palette are: Easy Base, Easy Shadow, Shine Rose gold, Shine Gold, Easy Charcoal, Easy Brown, Glam Espresso, and Glam Cocoa. The palette also comes with 2 eye shadow applicators. To use: Primer the lids with eyelid primer. Apply the eyeshadows with an eyeshadow brush or fingers. The palette comes protected with a cardboard insert. Packaging: I love the simple yet sleek packaging of both the box and the palette. 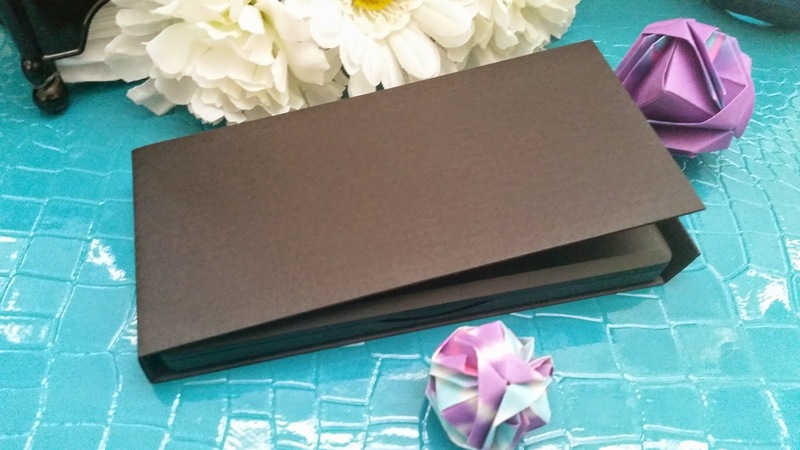 Inside the box that contained the palette, there's a thin layer of cardboard for protection. The box comes with English and Korea instructions and information, which is very nice. On the side of the box, it includes a short introduction of the palette and on the back it lists the names of each shadow. The palette itself looks sturdy. 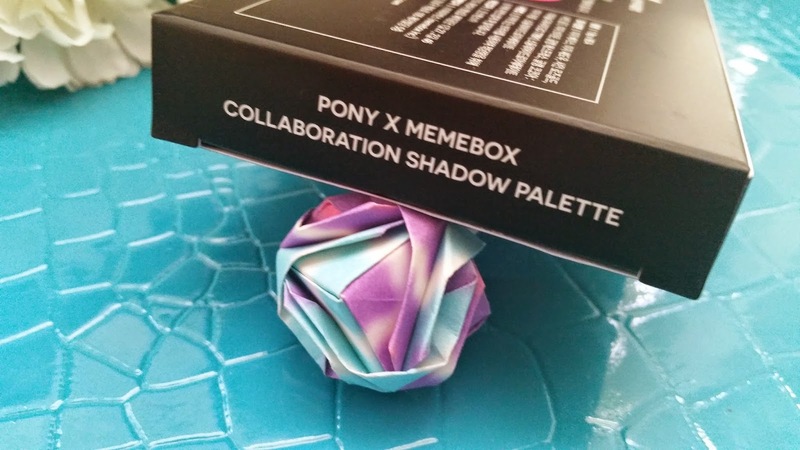 On the front it says 'Pony Memebox' and on the back it lists the names of the shadows and also has the product expiration date. You can see what the palette looks like on the inside below. It's got a nice long mirror, a plastic cover to keep the mirror clean, 2 mini applications brushes, and the 8 shadows. The Brushes: The palette comes with 2 mini applicators. Personally, I don't use them or find them useful either. I did test them out and they just didn't work for me. I wish the palette came with 1 nice dual-sided brush instead. Top row (from left to right): Easy Base, Easy Shadow, Shine Rosegold, Shine Gold. Bottom row (from left to right): Easy Charcoal, Easy Brown, Glam Espresso, Glam Cocoa. 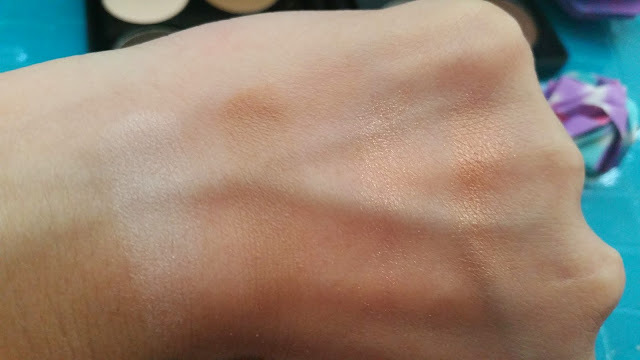 The swatches below are done over Etude House Proof 10 Eye Primer. It's a great and very affordable eye primer. In my opinion, it works as well as Urban Decay's eye primer but the Etude House Proof 10 is only a fraction of UD's cost. -Easy Shadow: A light brown matte color that gives off a slightly muted bronze-brown look. You can see in the picture below (second color on the left) that it's not so noticeable, but it is still decently pigmented. -Shine Rosegold: A shimmery rosy/coral gold color with lots of soft gold glitters. (Third color from the left.) It's not a super pigmented color and there can be glitter fall-outs at times. However, it is a very pretty color and very versatile. It's a shimmery color that can be used for day time and night time looks. -Shine Gold: A shimmery bronze-gold color with lots of soft gold glitters. (First swatch on the right.) The pigmentation of the color is pretty decent, however, there can be glitter fall-outs. -Easy Charcoal: A deep brown color, almost boarding brown-black. It's matte and very pigmented. (Picture below, first swatch on the left.) It's a great color for smokey looks. -Easy Brown: A matte and pigmented medium brown color. (Picture below, second swatch on the left.) A great color for contouring the eyes and can be used to fill in brows. 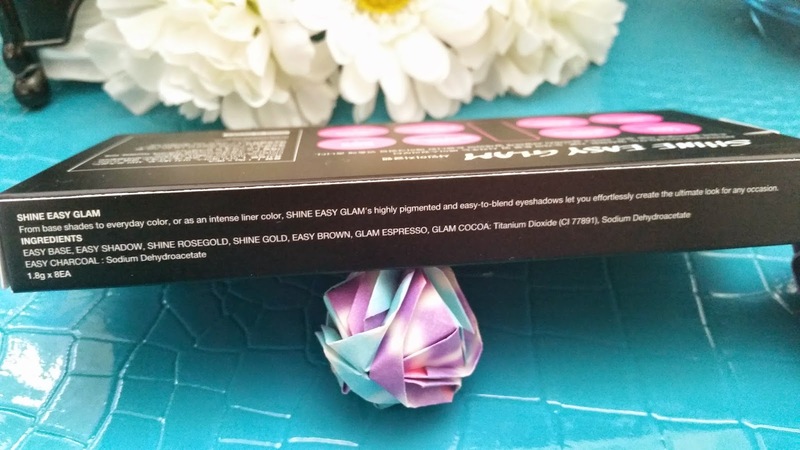 -Glam Espresso: A shimmery taupe color with soft gold glitters. It also seems to have a hint of bronze in it as well. (Third swatch from the left.) It has very good pigmentation but there can be some glitter fall outs. My Thoughts: I remember when I first saw the Pony x Memebox Shine Easy Glam Eyeshadow palette, I was ecstatic. I love neutral palettes! A lot. For this palette, there are a couple of shades that I like more than the others. Despite the occasional glitter fall outs with the shimmery shades, I still really like them. I'm not a big fan of the applicators that came with the palette, to me they are just not so useful. I do love the mirror though. This is a pretty well packaged palette and I can take it with me while traveling. 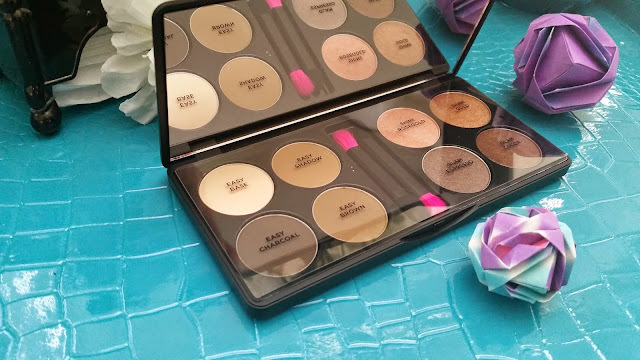 The colors are versatile and I can use some of them for contouring and as brow shadows too. My favorite shade in this palette has to be the Easy Base. It has become my go to shade to highlight my brow bones. I also use it as a base sometimes before I apply my other shadows. My second favorite color in this palette has to be the Easy Shadow. I haven't really used this color for my eyes yet, however, while on my trip I used it to fill in my brows. I think the color could also work well as a contouring shadow for the nose area. Another color I like in this palette is the Shine Rosegold. Although it can have glitter fall outs, it's just too pretty of a color not to like. I use it as a base, on my inner corners, or below my lower lash line. I just make sure to use a good primer and clear up any fall-outs before I leave the house. I also like the Easy Brown, Shine Gold and Glam Espresso as well. As for the other 2 colors, is not that I don't like them, it's just that I don't use them as often. Final Thoughts: Despite the occasional glitter fall outs, I am still in love with this Pony x Memebox Shine Easy Glam Eyeshadow neutral palette. 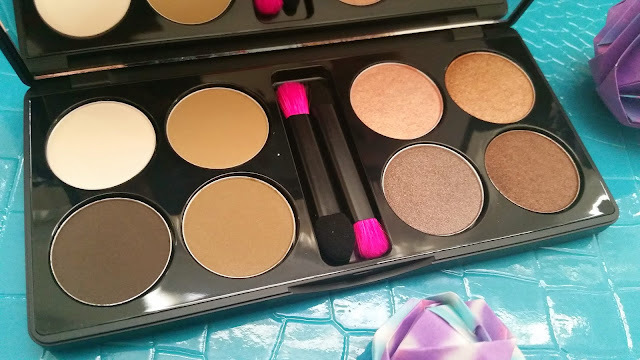 I love the colors in this palette, they are very versatile. The colors can be mixed together easily as well. I can use the matte browns as contour for the face or as brow shadows. I can create day to day looks and easily transform them to night time looks with this palette. It's a very travel friendly palette and the packaging is very sleek and chic. The applicators might not be so useful, but I always found that I like to use my own specific eyeshadow brushes anyways. Plus, this palette is very affordable as well. As a neutral palette fan, I am definitely glad I got this palette! Disclaimer: This product was purchased by me with my own money, all opinions are honest and my own.